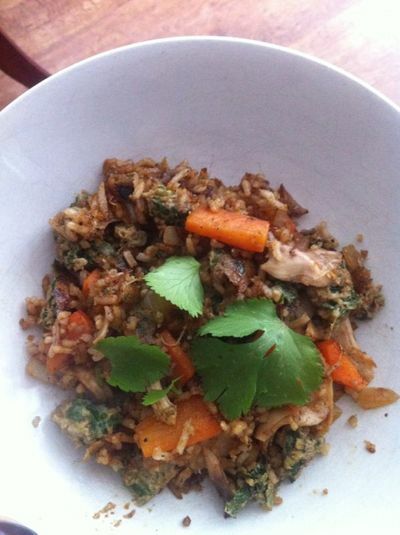 Thai stir-fry is a great way od getting kids to eat their vegetables. Throw in some chicken and rice, and they'll be eating this up in no time. 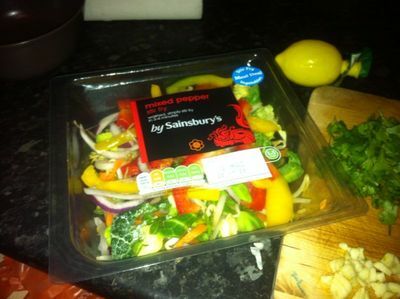 Speaking of saving time, I've used a ready-made pack of stir fry, simply because it's quick and easy - we all have a few kitchen 'cheats' from time to time. 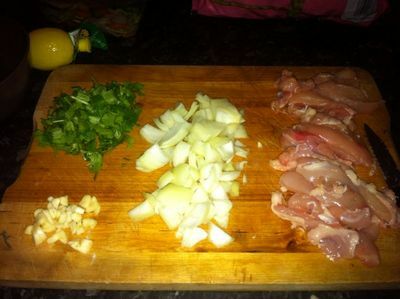 Chop the pepper, onion and chicken to equal sizes. 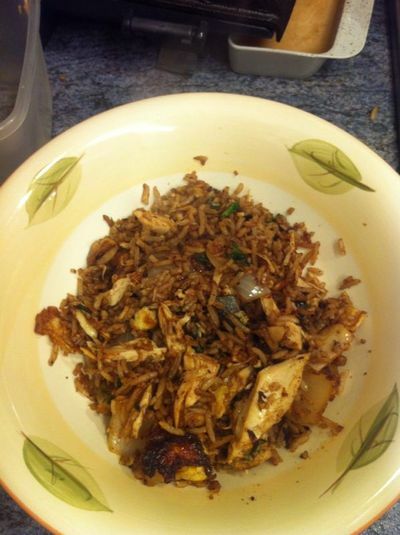 Remove the stir fry from the tub and transfer to a large saucepan. 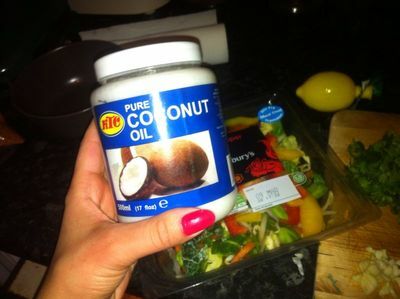 Fry in coconut oil for 3 minutes. Add all of the seasoning and the onions chicken and pepper. Cook for 10 minutes over a medium to high heat. Transfer to a plate/bowl and serve. Garnish with corriander for prettiness.